It’s hard to know if you’re getting the real deal when it comes to Essential Oils. But, the good news is that we’ve done all the research for you. We dove deep into these companies’ backgrounds to find out how the oils are extracted and treated before they are delivered to your door. How to Know if the Essential Oils are Hight Quality! It’s easy for anyone to slap “organic” on the label without any questioning the claim. After all, no one is reviewing essential oils for label accuracy besides the people that use them! But, there are a few ways to find out if you’re getting what you pay for. It all starts with the brand. Essential oil brands that plan on sticking around for more than just a few years will conduct business ethically and focus on quality. That’s why brands like DoTERRA and Young Living stand out so well when compared to the competition. Ideally, you should focus on USDA organic certifications which show that a third party has reviewed the formula and product and deemed it natural. Then you’ll want to ensure that they’re using plants that offer the expected benefits. This only comes from companies or brands that ethically source and identify the type of plant they’re using. Without a doubt, DoTERRA is probably the most well-known of the Essential Oils brand names out there. Although many people argue that it isn’t the best there is a lot to love about this brand. When you look past the network marketing pyramid-scheme style sales, you’ll realize that a lot of what their salespeople are saying is true. DoTERRA isn’t a hoax. DoTERRA sources their ingredients from all over the globe to include the actual plant that serves a purpose. Rather than a cheap imitation that is from the same genus. The best thing about DoTERRA is their transparency, even when it comes to price. Unfortunately, DoTERRA is a bit more expensive than most other Essential Oils options. But, that’s because they are honest about where their plants come from and how they get their oils. Many companies will label their bottles “chamomile” but not acknowledge that it’s a strain of chamomile that doesn’t provide the human body with any benefits. When you buy DoTERRA products, you’re getting oils that have benefits. There are introductory kits all over the internet, but DoTERRA has one of the few “family” kits around. 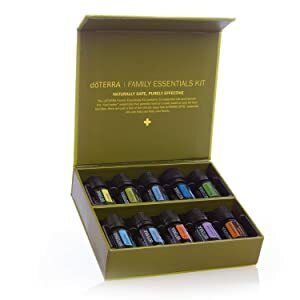 This kit is a great way to buy the most useful and most common essential oils for around the house use. It includes Lavender to help create a peaceful environment and promote healthy sleep as well as DoTERRA On Guard with Orange to help fight germs in the air. Overall, if you need a product that works, DoTERRA is a great option. They responsibly source their plants and only use the specific plants that offer benefits to us humans. The thing about DoTERRA that makes them so popular is their potency. Even though they distill their oils rather than cold press them, they use highly concentrated oils so that you can see the benefits of the essential oils almost right away. Lemongrass is great for massages and purifying the skin. 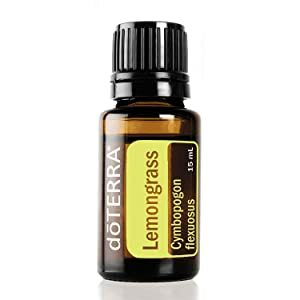 The potency of lemongrass in any essential oil is a major concern because if it’s diluted even a little, you lose many of the benefits. If you’re buying lemongrass for skincare, you should buy DoTERRA. Too often people confuse the top-tier of Plant Therapy with their lower priced items. It’s true that Plant Therapy is affordable. But, if you’re looking for the USDA-Certified Organic Plant Therapy Essential Oils, you’ll probably spend as much as you would on any high-quality brand. The primary problem is that not all of Plant Therapy’s products are organic. Many of their lower-priced products aren’t organic, and they don’t share the source on these products. Which leads to bigger, behind-the-scenes, issues. If they don’t share their cause, there is no guarantee that the plant is beneficial. Plant Therapy might have earned its following because of their high-end products, but their more affordable products might put their good name at risk. 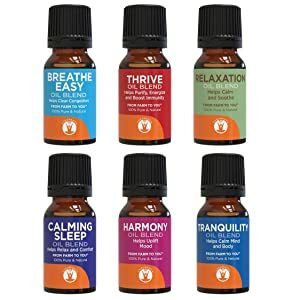 It’s suspected that although these therapeutic grade Essential Oils are available at affordable prices, they might not have oils or extract from a plant that is actually beneficial to you. Plant Therapy clearly labels their products as “USDA-Organic” as well as “100% Pure,” and that’s how you know you’re getting the excellent product. The purity of Plant Therapy oils is outstanding. Because of their 100% pure products they are a therapy favorite. The bottle structure also makes it extremely easy to use. Unlike other Essential Oil bottles, they don’t have a small rubber plug over the top. Typically, Frankincense is common among those who use essential oils for meditation and prayer, but it has a wide range of uses. 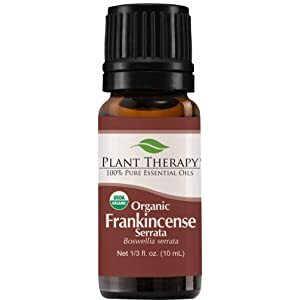 You can use this wonderful Frankincense oil for congestion and muscle pain. Add a bit to any diffuser and enjoy the woody aroma. Young Living is a well-known name throughout the U.S. and the U.K. where Essential Oils have taken over by storm. This trusted brand has gone through some great lengths to ensure that its oils are pure, stick to their closely monitored grade control system. But, Young Living sticks out for their blend of essential oils that are unique to their company. Such as Thieves Oil which is one of the most versatile Essential Oil recipes we’ve ever seen. How Young Living did their business in the past that negatively affected their company and led to many OSHA violations isn’t forgotten. They created a better product after coming through a hard time, but we still have to question the cost. If Young Living’s inner workings have changed, that is excellent, and these OSHA issues occurred a long time ago. It may be time to forgive Young Living if you can. We liked that the farms where Young Living grows their plants for extraction are in the U.S. Although there is a lot of argument that it leads to a less potent product and might even go on to say that it affects the benefits. But Young Living stands by growing their product in the U.S. and argues that it gives them complete control over the environment their plants grow in which can affect them. To us, the control means that they have the best interest of their product in mind. Young Living’s stance on developing and backing up their product makes it an excellent choice for anyone new to Essential Oils. 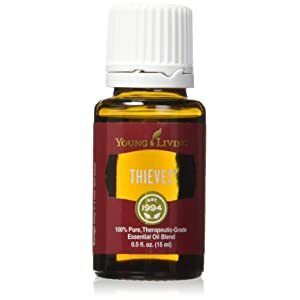 Undoubtedly, their Thieves essential oil is their best product and well worth the investment. It showcases the care and time they put into their formulas. Young Living has put in a ton of time when it comes to developing their products. They have their methods, and while some have led to issues for some of their company, we think that the choices they’ve made have led to superior products. This Thieves essential oil speaks for itself as many people use it for keeping away the common cold and helping clear the air. Reasonably priced, and certified organic, Now Foods is turning out to be the underdog that is making a name for itself. 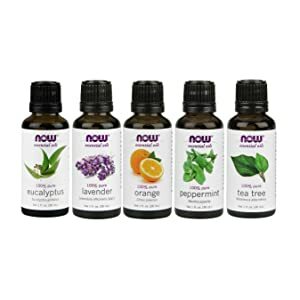 Now Foods started as a food supplement company but quickly caught on to what Essential Oils could do for their customers as well. Not everything from Now Foods is organic. But, they do very well in informing their customers that the plan is to move in that direction. Their quality assurance is outstanding. The entire process from botanical origin to bottling has steady oversight for high-quality end products. That means that every step in manufacturing is thoroughly reviewed before you even have the chance to order the oils. Now Foods knows how it is fighting against big brand names when it comes to their food supplements, and they’ve taken the same approach with essential oils. Quality wins every time. They start with steam distillation to trap vapor naturally, but they also use cold press extraction. The quality control department helps manufacturing decide which method is best for the oil at hand. Overall, Now Foods is a contender for brands like Young Living and DoTERRA to watch out for. They keep their prices reasonable, their products pure, and maintain a focus on using the plants that have benefits. Possibly the best thing about Now Foods is that their experience with supplements gives them an advantage in handling nutrients throughout a plant’s growth cycle. We all know that happier plants lead to a better product. Now Foods could quickly become a top name in Essential Oils if they keep up with their good practices. A little of everything for anyone that is looking to try essential oils. 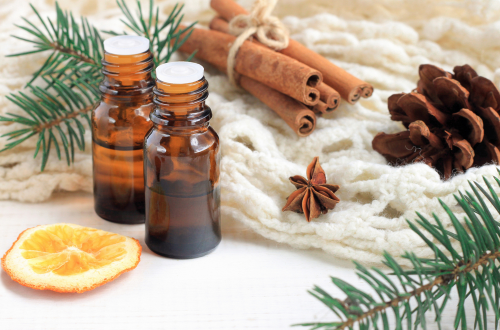 This introductory kit includes orange, peppermint, tea tree, lavender, and eucalyptus. Altogether Now Food is showcasing how this variety is useful, affordable and high-quality. Don’t let the name fool you. Mountain Rose Herbs isn’t a street side hoax. They’re the real deal. This company ensures that although not all oils are equal, all of their oils are treated equally. They steam distill their oils and use only ethically sourced plants for their oils. There’s a lot to say about choosing this USDA certified organic option, but first, you might have to get used to the high price. These are premium oils that run in prices similar to, or even higher than DoTERRA. Without a doubt, the best thing about this company is their ethical practices. They only use plants that guarantee a result or reaction and only use plants that are carrier and pesticide free. For essential oil users that means that these are top-grade oils. They also don’t add in any fluff. You’re not getting “peppermint, water” in the ingredients list. The only ingredient in Mountain Rose Herbs Essential Oils is the oil itself. We also loved that you could place bulk orders. Placing large orders is a great benefit for people uses aromatherapy in their practices. Overall, Mountain Rose Herbs is a great company for essential oils. Although there are some different bits of feedback about their other products, the oils are outstanding. They only use resources that distill oils from organic and sustainable sources. Top quality essential oils are here. The Lavender essential oil is commonly for soothing the atmosphere and preparing for sleep, a great addition to anyone who has mild insomnia. 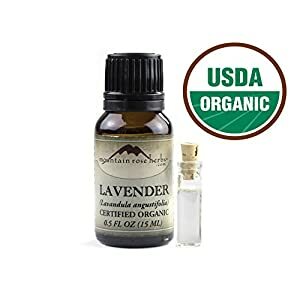 Mountain Rose Herbs only provides certified organic Lavender oil, and they use steam distillation. Additionally, there’s no added water, so the oils are powerful! GuruNanda is a new brand within the Essential Oils market, and they’ve created quite a stir. With a cursory look into the company, you’ll see a concerned claim about fake marketing, but that’s been put to rest. GuruNanda offers its products through their website as well as refutable retailers. 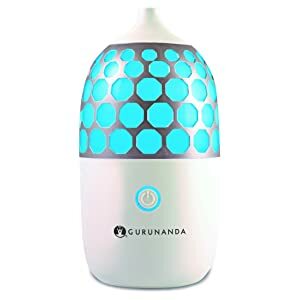 GuruNanda was created by a yogi who believes in understanding the chemical and physical properties of essential oils for purposeful use as well. They grow and sell the crops used in these essential oils themselves, which keeps the prices low. But their involvement with the Global Farmer’s Alliance allows them to source many other oils that are high-quality too responsibly. The thing that sets GuruNanda apart from other essential oils companies is the amount of testing that goes into each oil. They are working to sell only 100% pure and natural oils rather than adding and removing specific properties to keep prices low. They claim that they don’t have anything to hide and the amount of support their getting from the essential oil’s community is proof that they focus on keeping their customer’s happy! These are all 100% pure with nothing added and of course, nothing removed. Every bottle has fitted oil droppers as well! 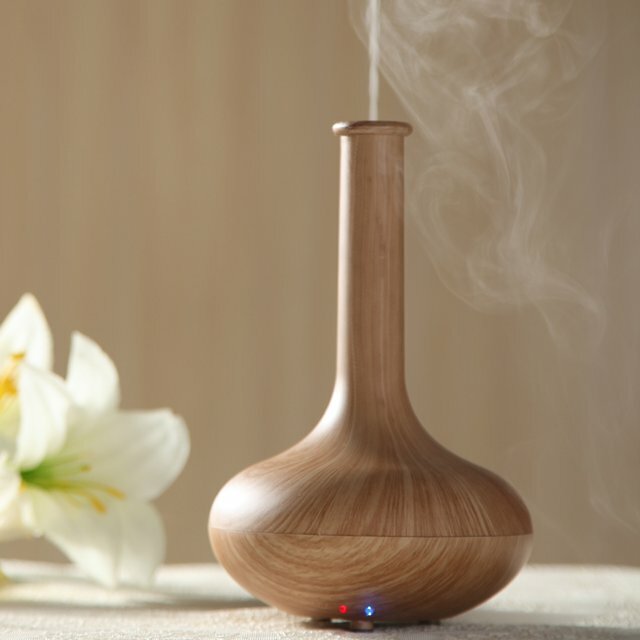 A diffuser that is indeed the best in its class and fills even large spaces with the scent of aromatherapy oils. The device is whisper-quiet and helps to humidify the environment as well. This top-rated essential oil diffuser prevents stuffy air, works with an auto shutoff and has three different modes. One of the most well-known names in Essential Oils today, Eden’s Gardens sticks around because of their unfailing integrity. They resource their plants ethically, use diffusion methods for their oils that offer a high concentration and retain many of the benefits of the plant all the while keeping their customer’s happy too. Eden’s Gardens is the brand that many people switch to after they’ve moved on from introductory brands such as DoTERRA. They have a huge variety of oils that they’ve built up over nearly 20 years of business. This brand started from an inspirational (and spiritual) trip to New Zealand in the early 2000s. From there, the founder, Grace, began researching and working with developers to create essential oils that invoke aromatherapy and the benefits of each oil. 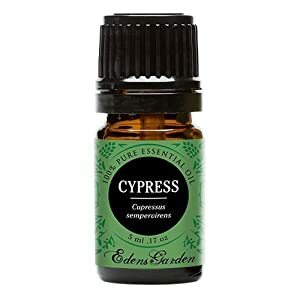 Cypress is an oil that the more experienced essential oil users turn to for aching muscles and throat discomfort. Aside from the physical benefits of cypress, many use it spiritually to handle grief, trust issues and even to ward off perfectionism. It’s easy for anyone to slap “organic” on the label without any questioning the claim. After all, no one is reviewing essential oils for label accuracy besides the people that use them. I love buying DoTERRA because there are so many kit options and I can easily find a USDA Organic option for any specific essential oil that I’m looking for. DoTERRA is a great place to start buying trial kits too to find out which oils work best for you. Thank you for the info. Have you reviewed Revive Oils? Not yet. But I will try it. Thanks for your suggestion!